The banjo. Although often maligned, or at least misunderstood, the instrument has a hero in Tony Trischka. This Syracuse native has slung the five-string banjo in groups like The Down City Ramblers and Country Cooking, and produced Steve Martin and the Steep Canyon Rangers' 2011 album, "Rare Bird Alert." He's also received a Grammy nod and several attaboys from the International Bluegrass Music Awards. With a finger-style that moves from producing gentle, exquisite, music box-like chimes to percussive, twangin' glee, you'd swear Trischka is sporting a couple of extra fingers ... on each hand. CITY fired a few questions over the banjo man's bow. Here's what he fired back. An edited transcript follows. CITY: What attracted you first, the music or the instrument? Tony Trischka: Though I grew up listening to Pete Seeger and The Weavers and all of Pete's banjo music, it didn't capture me. In the early 60's, I was caught up in the "folk scare" and was playing folk guitar, but when I heard The Kingston Trio do "The MTA," with a wonderful banjo solo by Dave Guard, it was 16 notes of that solo that "forced" me to play the five-string. How did you feel when you first picked up the banjo? I was totally head over heels for it. In fact, before I even had a banjo, I retuned my guitar like a banjo and tried to figure out a few things from the Pete Seeger banjo instruction book. When I finally got my long-necked Christy banjo for Christmas in 1963, I spent hours and hours playing. How do you advance your playing style while still remaining traditional? 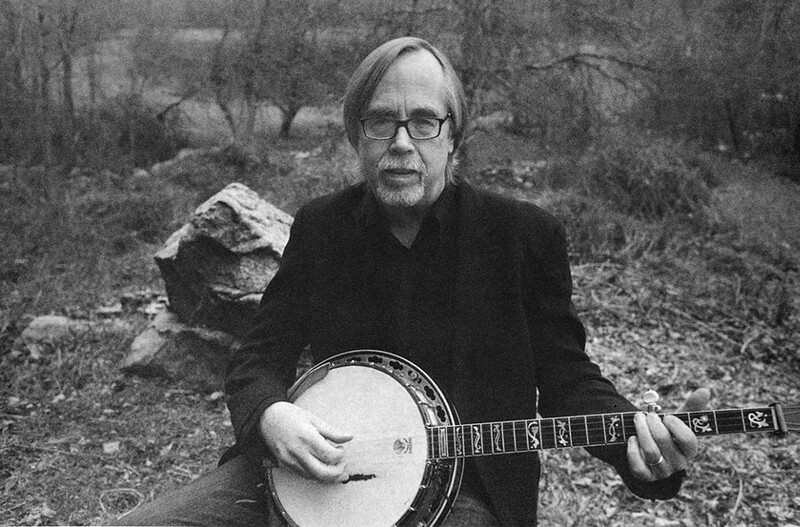 When I first started taking banjo lessons from my teacher, Hal Glatzer, he taught me how to play tunes in Scruggs style, the predominating bluegrass way of playing the banjo. Earl Scruggs become my touchstone, and to this day is a primary inspiration. There are others of his generation (dating back to the 40's and 50's) who I idolized, and so, as "progressive" as I may get some times with my playing and musical contexts, I always continue to listen to my early heroes and transcribe their solos. Do you classify your music in one particular genre or is it a hybrid? My music is a hybrid. The foundation is in bluegrass, but I've listened to a lot of jazz and classical and rock, and elements of those filter into my playing. What's a rule in banjo playing that you break? I don't think there are any rules of banjo playing. For so long the 5-string banjo has been considered a bluegrass instrument. The guitar can be used to play rock, jazz, flamenco, classical, etc. It's never been typecast. I think, these days, people are beginning to accept the fact that the banjo can be used to play a concerto with major symphony orchestras with players like Bela Fleck, who play in a jazz context, and really in any form of music. What's the most off-the-wall thing you've done? Probably playing a very modern, atonal concerto for banjo and percussion ensemble. What's a rule you always adhere to? Try to play tastefully, cleanly, and with good time, and don't feel constrained by any musical boundaries. In your earlier career, you moved around a bit from group to group. Were you searching for something specific? I don't know that I moved around a lot early on. I followed opportunities when they presented themselves. It was more that than any kind of searching. In the early 70's, I was in a band called Breakfast Special, and we were together for 3 years. Then I did a Broadway show called "The Robber Bridegroom" for a year and a half. The later 70's, I was grazing in different bands. That was followed by a nine-year stint with a group called Skyline, that spanned almost all of the 1980's. You've been described as having a fearless musical curiosity. Has that ever gotten you in trouble? In the early to mid 70's, I started recording my first solo albums for Rounder Records, and I would have certain tunes with saxophones, drums, and electric guitar, unusual chord progressions, and "progressive" note choices. These would understandably get fairly withering reviews in the traditional bluegrass publications. You've played in a lot of bands, recorded a lot of records, and played constantly for 45 years. What's something you haven't done yet that you want to? In terms of musical contexts, I feel that I've done just about everything I'd ever want to do: record with Earl Scruggs; sit in with the Allman Brothers; play with symphonies and string quartets; play in jazzy electric settings; and on and on. Though I've played in some pretty amazing venues like Madison Square Garden, Avery Fisher Hall, the site of the original Woodstock festival — not at Woodstock, but at the site — and so on, I'd some day like to play at Carnegie Hall and appear on the Grand Ole Opry. Those two would probably complete my bucket list.